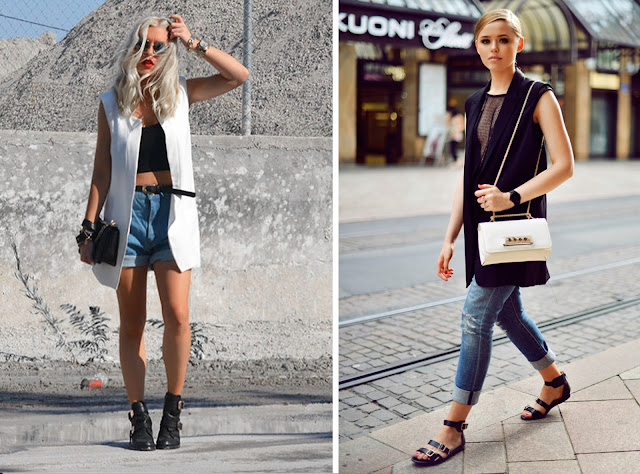 The sleeveless jacket is such a perfect item for the summer. It allows you to still be able to complete an outfit with that perfect blazer or biker jacket whilst not feeling overly hot and bothered, the the best of both worlds! (no Hannah Montana aha). Don't just take my word for it, the sleeveless Jacket has been all over the Spring/Summer 2013 shows on catwalks of the amazing 3.1 Phillip Lim, Celine and Stella McCartney just to name a few. I've wanted one for the longest time now and have even considered ripping off the sleeves to a blazer that I already own in a DIY attempt, but I think I'll stick to saving to purchasing one of the lovely ones below instead. Which is your fave out of the selection below? I think the Charlie May beauty just about wins my heart although its just a tad out of my price range which is probably the underestimate of the century, a girl can dream right? the first look is so amazing!!! 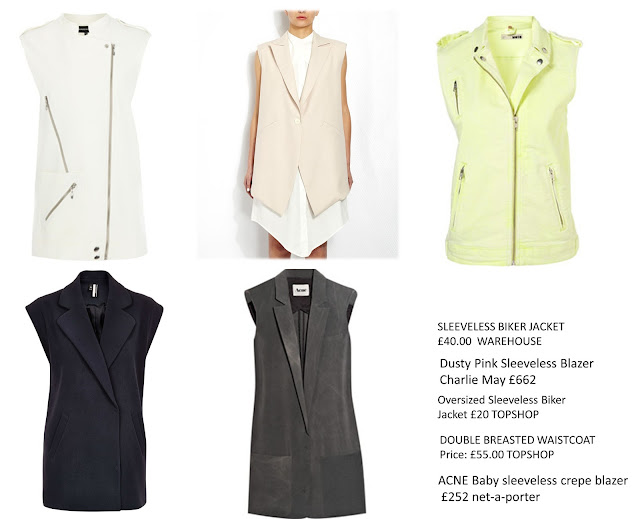 i love sleeveless jackets been trying to look for a real nice one for ages!! really love the first look! Oh that orange jacket, so SO perfect! yup! i love this item!im looking for a nice white one. thanks for the options!